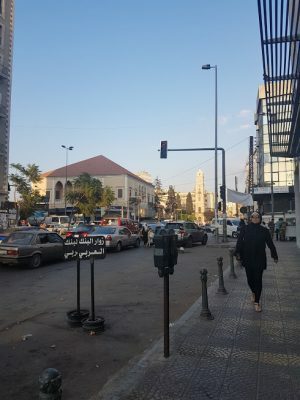 If you look for mainstream media coverage of Tripoli, Lebanon, having never been there, you’d be left with a narrow, hyperbolic view of the city as utterly impoverished, war-torn, conservative to the extreme, and dismal in every other respect. For instance, coverage by the BBC and the Australian Broadcasting Corporation has respectively referred to it as Lebanon’s “extremist” and “jihadi” city. It’s portrayed as exactly the kind of place that wide-eyed and ambitious students of conflict resolution and development practitioners may think we need to “save”. And of course, it’s not. For two months this summer, I lived in Abu Samra, a shabby, dilapidated, middle to working class, primarily Sunni neighborhood of Tripoli. I was consulting with the Safadi Foundation, a prominent Lebanese non-profit, on how to strengthen their monitoring and evaluation systems. It was technical, dry stuff. Every weekday, I’d walk down to the main street, hail a run-down, rickety, 1960s Mercedez Benz, and haggle, in broken Arabic, over the price to get to the office downtown. 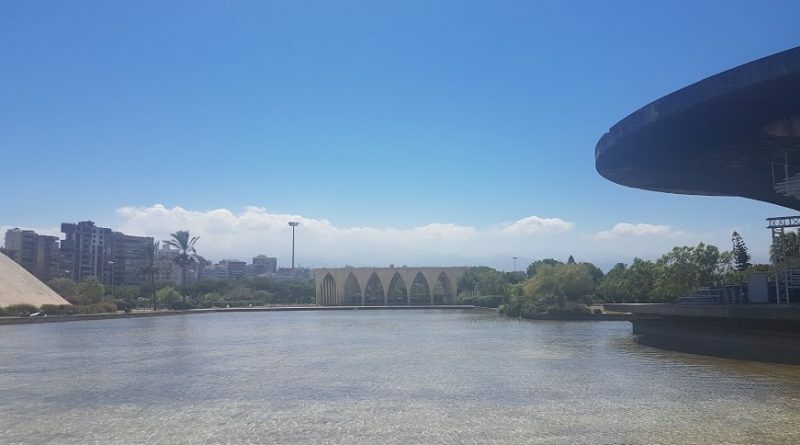 Along the way, we’d drive past the bustling old souks, past repair shops crammed with the spare parts of every automobile imaginable, past the restaurant and café lined streets of newer neighborhoods, and past the stunning Rachid Karameh International Fairground. Congested, polluted, and loud, Tripoli is a city like any other. I don’t mean that it lacks uniqueness or character; quite the contrary. But it is a city like any other in the sense that the challenges it must address are complex and multi-dimensional as those of any urban space. Sectarianism and the presence of militant groups are not and should not be the only lenses used to understand it. 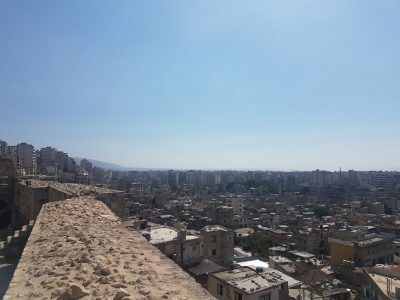 It’s not all about the conflict between Jabal Mohsen and Bab-El Tabanneh. There’s so much more to Tripoli than that. The food scene, with its mix of traditional Lebanese, newly-established Italian and Japanese restaurants, and panoply of local cafes, is vibrant and delectable. If you live there long enough, the residents’ sense of community is made obvious as you run into at least two of your friends, family members, or acquaintances on each trip to the grocery store. Strolling through the narrow, pedestrian walkways of the old souks, you’re immediately struck by the laid-back yet business-savvy demeanor of local entrepreneurs. In conversations with other Tripoli-based members of the development community, expats especially, I was often surprised to learn that few ever ventured outside Mina—the mixed Muslim-Christian neighborhood along the port. “You must be the only foreigner in Abu Samra”, I remember one telling me. And perhaps I was. The city in general doesn’t get its fair share of tourists. Though it wasn’t this that I found troubling. It was the implicit characterization of the city’s inner neighborhoods as some dangerous black hole to be avoided unless implementing a “program”. Yes, there are parts of the city that can be unsafe for a single, ivory-haired, young woman such as myself, especially at night. Yes, life for ordinary Tripolitans is not what anyone would call easy. And yes, living there can mean conforming to a more conservative lifestyle, quite different from living in Beirut. Yet none of this earns it the reputation of an outlying, extremist backwater. Paradoxical as this may sound, Tripoli is what I think of as a normal city, both unique and typical in the complexity of its challenges and potential. And for anyone who seeks to contribute to revitalizing the city, whether as a peacebuilder or a business investor, realizing this is essential. Tripoli does not need saviors.